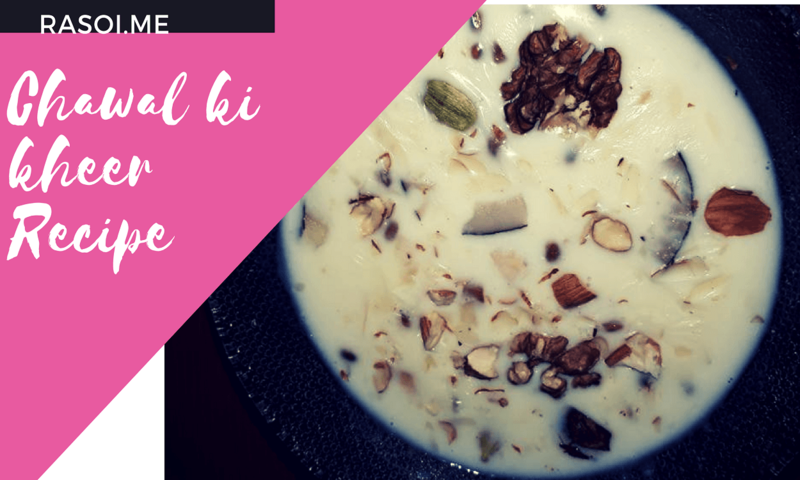 Indian traditional food in our Rasoi.me Chawal ki Kheer | Rice Kheer Recipe. Its special recipe on every occasion.&nbsp; Food is healthier and tasty always Rasoi.me. Watch this recipe How to make Rice kheer/ Rice Pudding. Heat The Milk in Pan for 15 minutes when its biled properly add 1 cup rice. Saute this for conitnuos 15 to 20 minutes untill rice is not soked and boiled in milk properly. Add sugar in last when rice is properly boiled with milk and saute it for 5 minutes . Rice Kheer Is ready to serve. Garnish Cashew , Almonds and kesar . No Replies to "Rice kheer recipe video | Chawal ki kheer | How to make rice kheer"